Just Jingle: How Would YOU Have Felt? You guys. Seriously. The puns. I can't even help it. I just can't. even. HELP IT. So.... as you may have surmised by my ridiculous blog title, this week the Simon Says Wednesday Challenge is all about FELT! Yup! We want to see how YOU feel..wait.. nope. It doesn't work when you go and change tenses, now, does it? HA! Well, we want to see how you FELT on your projects! Incorporate felt in some way and make it AWESOME! The Design Team is featuring the Simon Says Stamp Spring Plush collection today! If you have anything from this awesome collection, this is a great excuse to pull it out! If not, that's okay! Use whatever you have on hand to play along! You GUYS!!! Stuffed carrots!!!! I had way more fun with this card, than, perhaps, one should. But, YOU GUYS! STUFFED CARROTS! 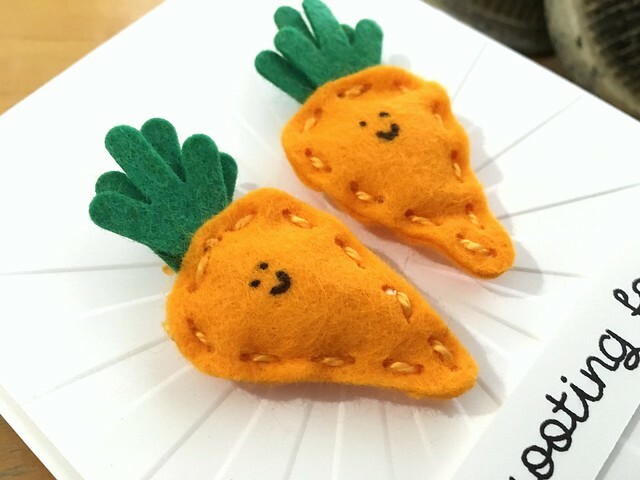 I used the adorable Mini Plush Carrot Dies from Simon Says Stamp along with the gorgeous wool felt from Simon. A bit of quick stitching and some plastic Target bags for stuffing (yup... I like to recycle... lol! ), and just like magic, I have adorable carrots. I dry embossed the background for some texture and interest. 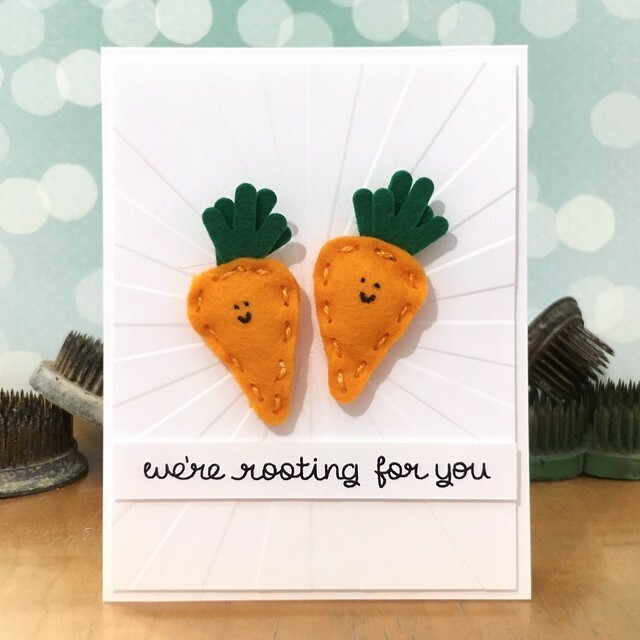 The sentiment is pulled from the Lawn Fawn Rooting For You stamp set. I love these stamps! I added the faces with a pen. Yup. That easy peasy! YAY! Now it's YOUR turn! Create something awesome using felt in some way and link it up to the Simon Says Stamp Wednesday Challenge blog for your chance to win a $50 Gift Certificate to the Simon Says Stamp Store! SHOPPING TIME!!! I can't WAIT to see what you all come up with! This is a super fun one! An adorable sweet card this week Jennifer, a lovely couple of carrottts, beautifully coloured!! What a FUN take on this week's challenge, Jennifer - so cute! J'adore cette carte,bravo,i love it. This is so CUTE!!! LOVE everything about it! !